Ready to learn more about how to draw caricatures? Now you’ve learned about the relationships between the features of the face, it’s time to take a closer look at the head and discover how this can play a crucial part in creating a great caricature. 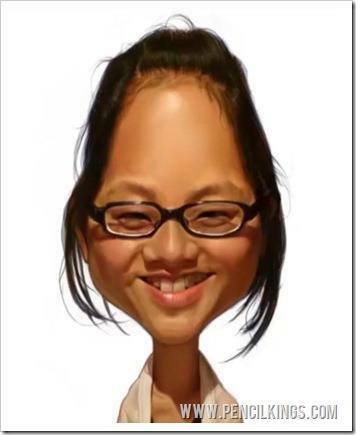 The head shape is usually one of the first things you’ll notice about someone, so understanding how to draw this will really help you out when starting work on your caricature project. So, pick up those pencils and tablets and let’s head on in! If you’ve ever seen silhouette drawings, you’ll have noticed how a person can be identified simply by the shape of their head. This is one of the fundamentals of learning how to draw caricatures and it’s definitely worth spending some time on if you want to capture your subject perfectly. 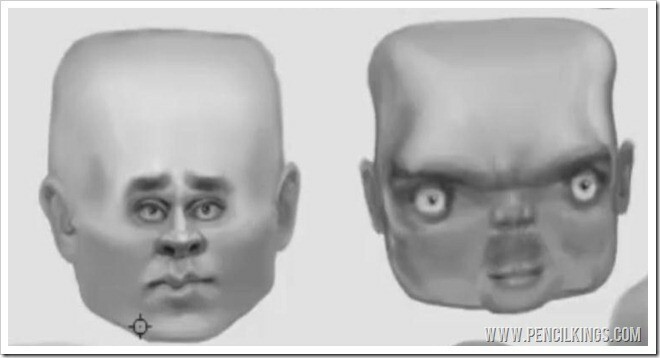 In this example, Sycra has drawn a series of different head shapes to demonstrate how unique each person is. Some heads are square, some are triangular and some are diamond-shaped. Others are a combination of two shapes, such as a triangle and a square. Take a good look at your subject and try to work out what their basic head shape is. 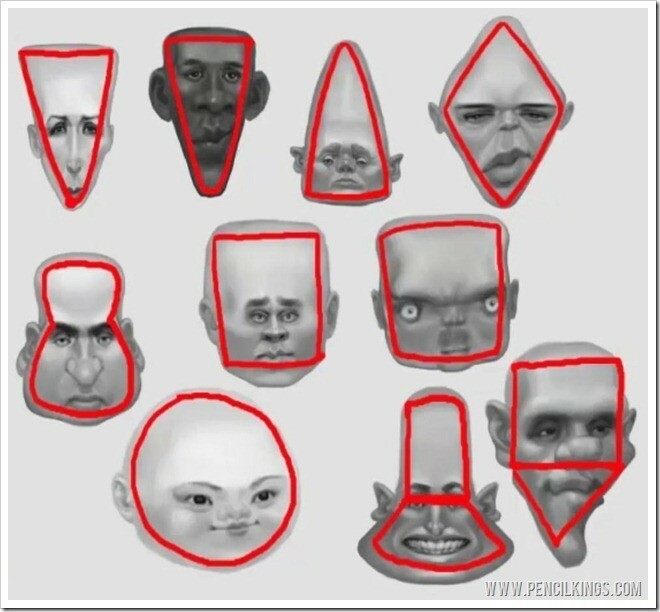 Once you’ve done that, think about the relationship between the different features and how this can be incorporated into the basic head shape. 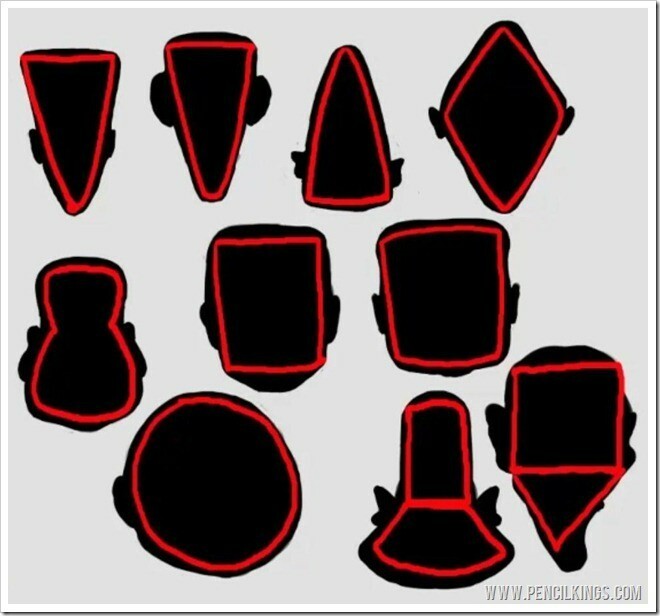 Our silhouettes may be missing hair at this stage, but for now, let’s concentrate on creating these heads from scratch using some basic shapes. Hair is also important when how to draw caricatures, though, so we’ll come back to this later. Here are those same basic silhouettes with facial features. Notice how although some shapes are similar, the placement of the features is different in each one. In the example on the top left, Sycra has drawn the eyes pretty much in the center. In the face next to this, the shape is another triangle, but this time, the eyes are positioned towards the top of the forehead meaning the distance from the eyes to the chin is far greater. In the next head, the features are the exact opposite. Here, they’ve been placed towards the bottom of the triangle so the distance between the eyes and the top of the forehead is huge. Are the Features Close Together or far Apart? One of the things to look out for when learning how to draw caricatures is to establish whether the features are close together or far apart. In this example, you can see the difference between the two faces – on the left, the eyes are close to each other, while the character on the right has eyes like a hammerhead shark! This awesome caricature of Nancy is a good example of how you may need to combine shapes to create a successful caricature. When he originally started this painting, he tried drawing Nancy with a small forehead. However, every time he looked at it, his drawing seemed to suggest Nancy had a fat face, which was nothing like how she appeared in reality. So, to solve this problem, Sycra decided to make the forehead longer to balance his painting out. 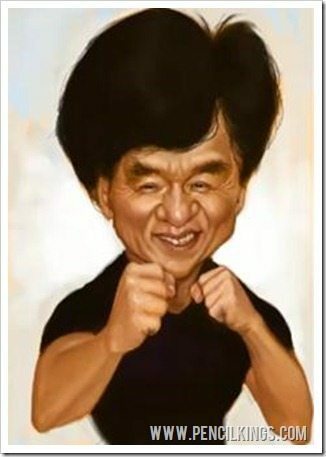 By combining two basic shapes to create Nancy’s head, Sycra was able to produce a caricature painting that exaggerated reality, but still captured an epic likeness of his subject. In this example, you can see how Sycra has made the nose larger but still kept the features within the shape of the silhouette. Learning how to draw caricatures is all about balance. If you decide to make one feature larger, it’s a good idea to make the other features smaller. Remember that the silhouette is an important feature of your painting and you should try to retain this shape wherever possible. Of course, there are sometimes exceptions to this. 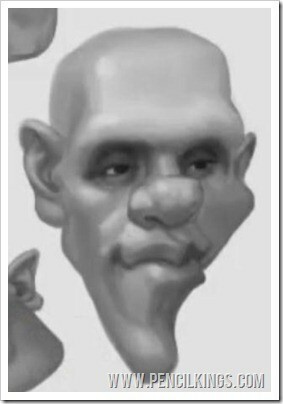 For example, if your subject has big ears, you’ll naturally want to include this in your caricature. However, it’s still important to consider the head shape and not draw the ears so large that they detract from the rest of the silhouette. In this example, you can see how the round shape of the head influenced the way Sycra depicted the features. 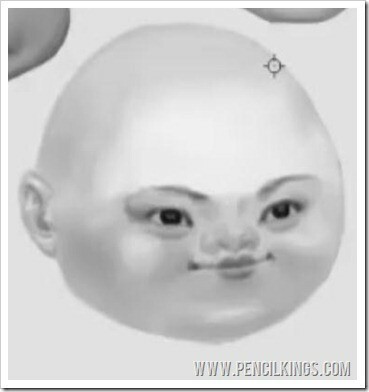 Everything about this person is round – the eyebrows are curved and the eyes, nose and mouth reflect the overall impression Sycra got when looking at his subject. Take a look around and notice all the different head shapes of your family and friends. Notice how each silhouette can be made up of one or more basic shapes and how the features are placed within these. In the next lesson, Sycra will show you how the structure of the skull can also play a part in creating a great caricature. We hope you’re enjoying the series on how to draw caricatures so far – tell us about the basic head shapes you’ve discovered by leaving us a comment in the box below!